my first time posting here. Sorry for being a newbie. Just wish to say thank you with your system, I had some big success in terms of pips harvest. Just a quick one now, you mentioned GU earlier on, the cog lines are moving flat, is it still a valid entry to short the pair? I tried that and hit my sl. It was a pretty weak signal to begin with but the divergence is what sold me on it. I only managed to squeeze 3 pips out of it when all was said and done as the blue centre of gravity line moved closer and closer to my entry. How did you determine your stop loss? How do you see it as a weak signal? I crossed checked with cog timing which is well over 70, with stoch showing on overbought side. Maybe I misread something. Hopefully you can share your thought. I only use the pivot lines to set my sl. I should have clarified. I set my levels for the MBFX timing indie (stoch) at 80 and 20 so that’s also a little different but also, it seemed to me that at the time, the BELHAYATE timing indie didn’t push convincingly above the +8 level which was my more significant concern. Again, what sold me on jumping in was the bearish divergence on the MBFX timing indie. Here, this is what makes it a sketchy signal so far as I saw it. Not necessarily invalid (which is why I traded it) but I would qualify this as a weak signal. It was a signal but only just barely in many senses. 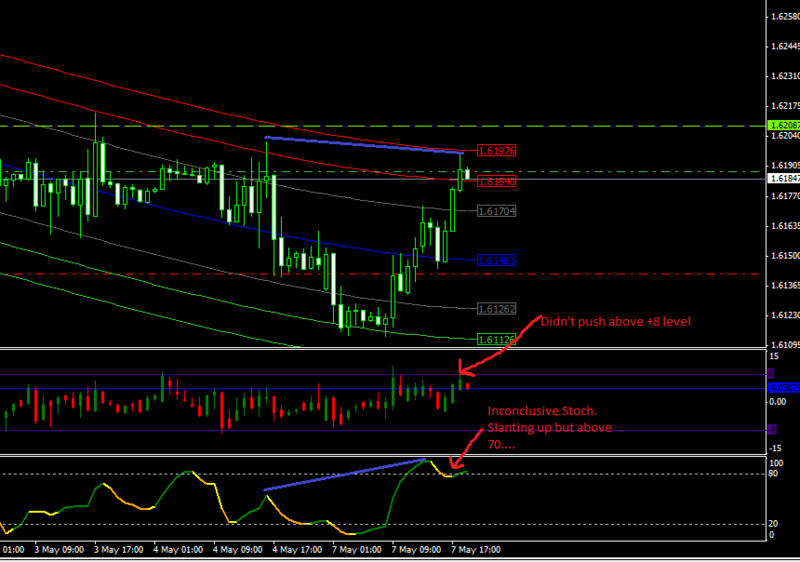 The +8 break wasn’t difinitive and the stoch was wobbling around at the time. I was thinking about that but I’m not sure because this is basically a reversal strategy of sorts. as well, the COG lines can repaint quite a bit by the time exit conditions are met so seeing as you’re looking for that reversal, you may actually be trading in the wrong direction if you try and keep consistent with the COG lines. I dunno. Just something I’ve been watching for. Because of how this system works and the theory that it’s using in respect to longer term order flow, I think the COG direction is probably not all that relevant. Indeed. I dont trade against the trend, seemingly its dangerous and very risky. Thanks for discussing this with me. Any success for you so far with this method? I only just started with it because I have some spare time to kill this week waiting for a minor surgery. I normally rely on automated trading but when boredom bites, you gotta do something and I like manually trading whenever I get the chance. I’ve had two trades on this system with small profits. I can’t provide a detailed history on just two trades but I can tell you that as some one who is a successful trader and who has been trading for several years (if you count all the years I failed miserably) I think this strategy is sound. I understand the method and while I don’t think you can trade it blind (using divergence is especially beneficial here I think) you can indeed make it work without too much effort. I do believe the trading logic here to be absolutely sound. USD/JPY 1H signal may be popping up within the next few hours. If the Stoch keeps heading up, this will show weak bearish divergence (usually I look for divergence closer to the current action) but the other indicators should show fairly strong. We’ll see how it plays out. I had a rather disappointing first trade with this system on GBPUSD today. The pair moved sideways all day. I had to close the trade as the indicator repainted and turned upwards. The position was open for 10 hours and 40 minutes and I only made 13 pips haha. But hey, it’s better than nothing. I hope we have better opportunities tomorrow. canadianpsycho, most of your profits are from EAs? Any recommendations on successful systems? Or at least pairs and timeframes. Just went long on GU H1 TF. Anyone in this with me? I’ve had two trades on this system with small profits. I can’t provide a detailed history on just two trades but I can tell you that as some one who is a successful trader and who has been trading for several years (if you count all the years I failed miserably) [B]I think this strategy is sound. I understand the method and while I don’t think you can trade it blind (using divergence is especially beneficial here I think)[/B] you can indeed make it work without too much effort. I do believe the trading logic here to be absolutely sound. If H1 TF showing COG going downwards( With timing and divergence etc giving strong signals)nas H4 COG is slightly upwards, will you still enter position despite higher TF shows different. I have a high risk appetite for some accounts and so my own preferences may not be suitable. I actually only use two retail products to trade along side my private automated strategies and some people like them while others hate them. One is no longer available to the retail market and the other is called kangaroo EA. Both are potentially very dangerous and should likely not be used with less than 10,000 USD in capital to start out. I don’t much like making recommendations because every trader is different. If you would like to private message me, I may be able to offer a bit more but spamming a thread with this probably isn’t helpful to anyone. See I don’t even think we have any inkling as to who the actual creator of this system is. I’m pretty sure that Mr. Belkhayate trades primarily with trend lines and S/R levels…not proprietary indicators so some one is just using his name for the retail version of all this. It’s easy to add a rule like that to sound credible but I’m curious as to how true it is…but it does make sense on some level so perhaps that’s it. I would be paying attention to the trend of higher time frames mainly but will be looking more at direction of COG as well to see what it presents. 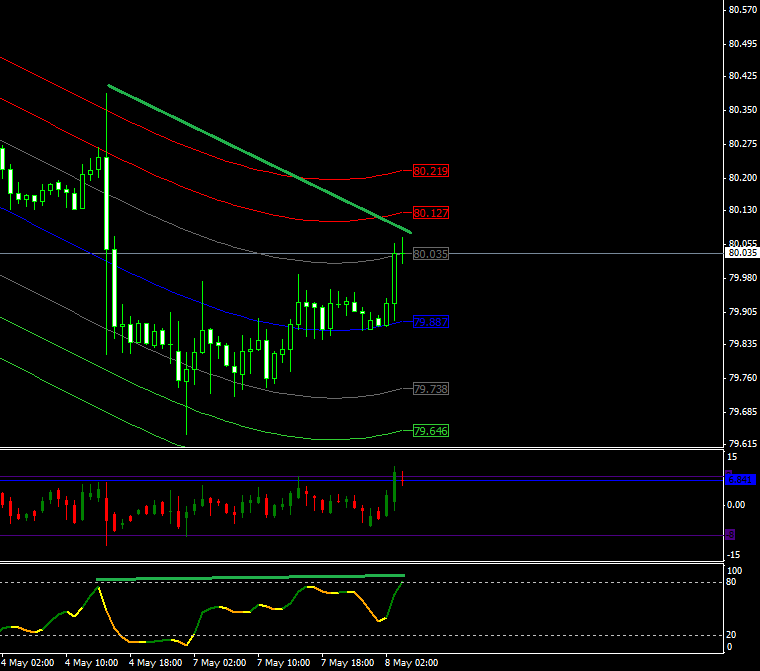 Keeping an eye on USDCAD by the way, looks like is willing to form signal in next hours. [B]EDIT[/B]: I think is correct to share macroeconomics views motivating why this week I’ll be looking for shorts only on USDCAD. There is a very strong bullish divergence amongst main US indices (sp500,ndi,dji), which is bearish for the USD index -> USDCAD is directly correlated to USDX so is willing to be bearish too. Cool! I had thought he was very dismissive of indicators given his trading style which I do believe relies very very heavily on S&R and Trendlines.